I wish spring would last a little longer so that I could use this little Penny Black chick more often! I used stitched dies from Lil'Inker and Simon Says Stamp, and DSP from Schoolhouse and the In Color Collection! Thanks for checking it out! Cassidy used Grampy's shovel to dig a hole and told me she wanted to plant something! The only seeds I had were some radish seeds we never planted from last year, so I gave them to her and she planted and watered them.....we'll see what happens!! My dad (the farmer) told me when he was younger, he loved planting radishes because they didn't take long to germinate, so I am hoping they will actually grow! Enjoy your day! Ha! the first thing that comes up in the garden...and boy it was a lot! More than we could eat! I had a hard time even giving them away! I found out not everyone likes radishes, imagine that! This card is super adorable, LeAnne! I hope Cassidy's radishes grow!! Thanks so much for playing along with us at the Color Throwdown! What a delightful spring card!! That little chick is too cute. Hope those radishes grow!! How SUPER cute!!! LOVE the layout and that little chick! Thanks for playing along with The Color Throwdown! Just adorable! Love the way you did the sentiment banner with the green edges. Thanks for joining us at the Color Throwdown! Cute as can be, Le-Anne! Perfect combination of elements; the bits of ribbon is fantastic! 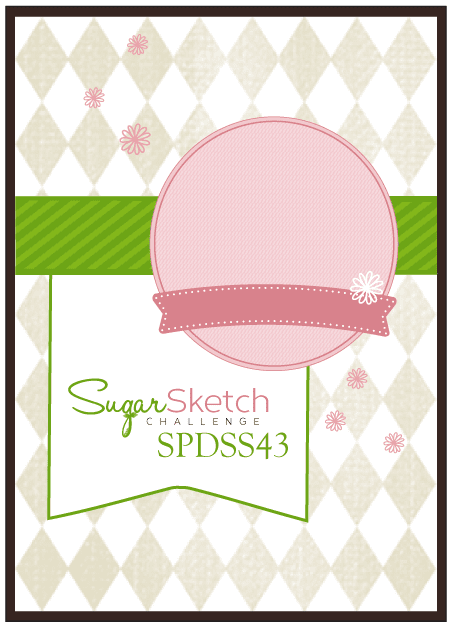 Thanks so much for joining us at SugarPea Designs Sugar Sketch! 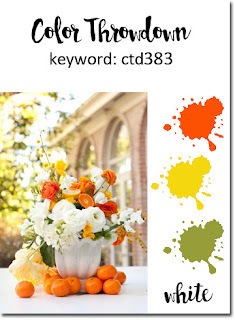 This is such an adorable image and you've used these colors to perfection! 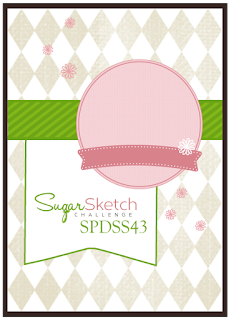 Fabulous to see you join us at SugarPea Designs Sketch Challenge. This is such a sweet card, LeAnne! Love the sunshiny feeling and the sweet image you used! Thank you for joining us at SugarPea Designs! LOVE the spring colors!! Thanks for playing at SugarPea Designs! !